Having worked with encaustic for 10 years, I am constantly reminded of the multi-layered lives we lead, as the media reinforces all of the meaning of my subject matter: authenticity, translucency, polarity, cadence, and, most importantly, integrity. I work from a place of intellectual research and then move towards a chosen color palette. I know a piece is complete when I reach a sense of ‘quiet’ within the process. When the work is going well, I feel a sense of cadence and rhythm. I would like the viewer to be drawn in by the beauty of the work as it stands on its own, but then look for deeper meaning, if they so desire. My work delves into socio-political concerns moving outward from the personal to the wider communities of gender, tribe, country, and, finally, universal. By looking at an issue as an individual who is part of these larger communities, I create a multi-perspective. Most of the preparation work is intellectual and involves deep research, but once I approach the making of the artwork, it becomes spontaneous and flows in bursts of creativity – normally taking the shape of very distinct series. My goal is not to proselytize regarding any subject, but to reveal dynamic dialogue which queries the viewer – so they can actively consider the issues and make up their own minds about the topic. 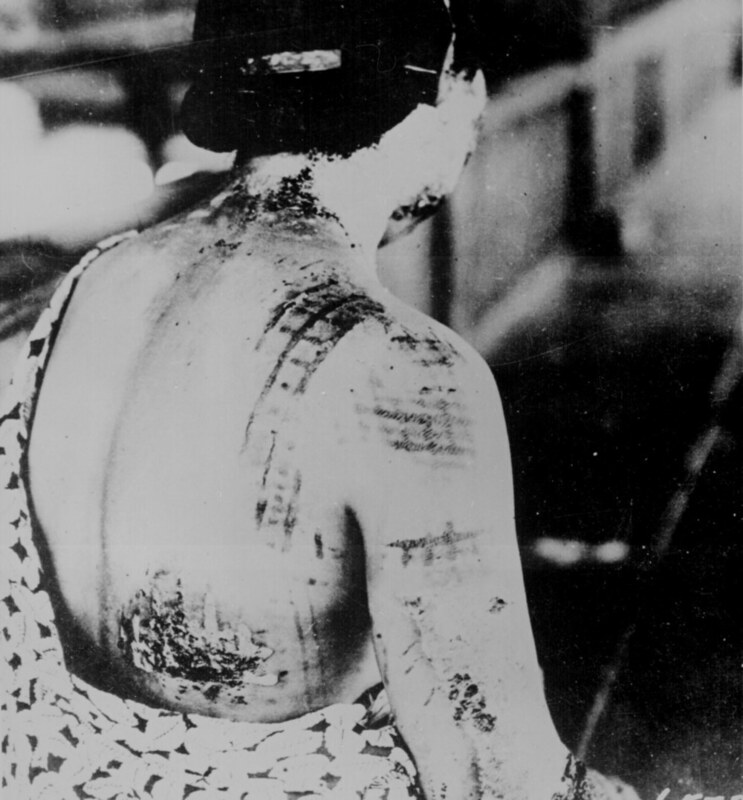 Recently, I was intrigued by an image of a Hiroshima survivor whose skin had been scarred black from the dark designs of the kimono she was wearing at the time of the blast. This image immediately brought to mind scarification, branding, and even damage revealed through tree rings. As our ‘markings’ can be psychological, as well as physical, I began research on atomic bombs and their ‘afterburns’ – this research has become the BRANDED series. The images, although prompted by an horrific action, are lyrical and beautiful. 2012 was the 50th anniversary of Rachel Carson’s environmental call-to-arms publication of SILENT SPRING. I have previously worked with series that celebrate the human connections to earth and sea and I have a strong desire for preservation and healing of the earth. SILENT SPRING is a series that celebrates the beauty of our environment, but is side-by-side with a warning exhibited through the color orange. The series is meant to be a visual, quiet revolution of polarity for our environmental connections.